Downy Ultra Cool Cotton Liquid Fabric Conditioner, 2 count only $6.53 shipped! Running low on Downy? This deal on Downy Ultra Cool Cotton Liquid Fabric Conditioner is fantastic! 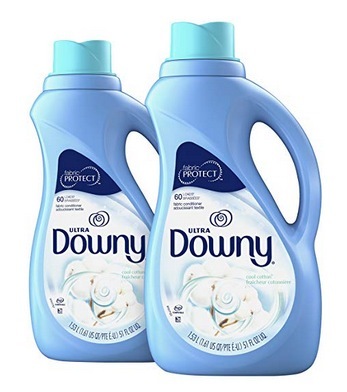 Amazon has this Downy Ultra Cool Cotton Liquid Fabric Conditioner, 2 count for only $6.53 shipped when you clip the $2 off e-coupon and checkout through Subscribe & Save! That’s like paying only $3.27 each, shipped! « Lego Duplo My First Puzzle Pets Building Blocks just $5.99!